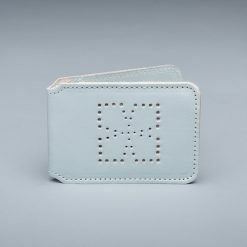 A simple card holder made from good quality italian leather with a motif on the front which has been punched through the leather. 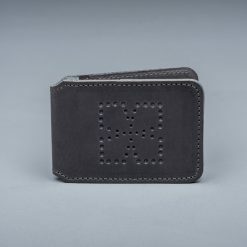 it has four compartments internally. 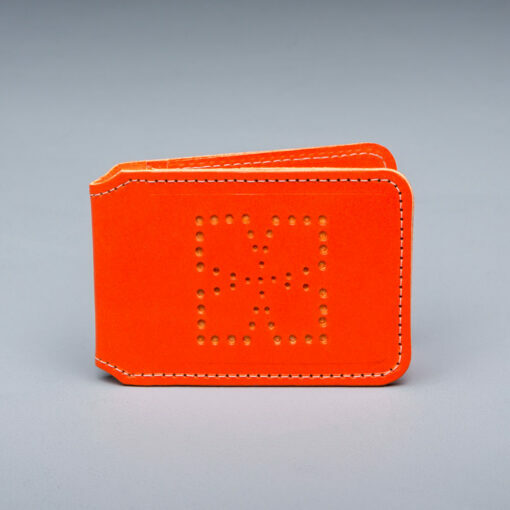 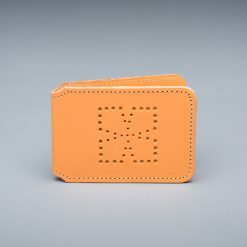 This bright orange card holder would be easy to locate within a handbag! 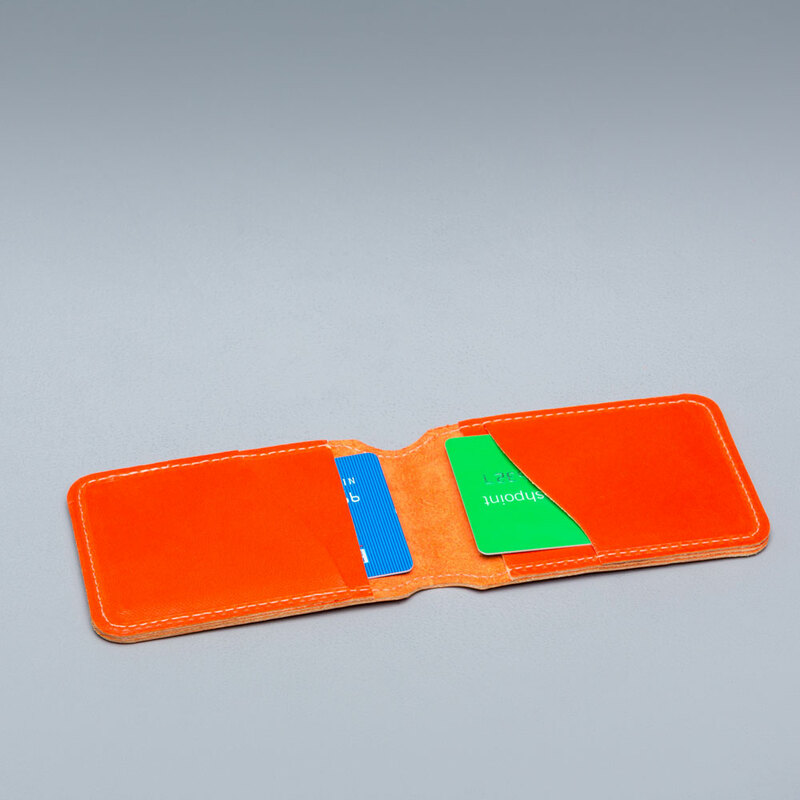 Please note this natural, more environmentally friendly tanning process and finish will mean that occasionally small marks/creases are visible which are part of the character and should not be seen as a fault. 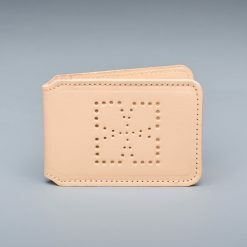 It will age and soften over time developing its own patina.